People who shop at Trader Joe’s really love Trader Joe’s. Personally I love shopping there for kids’ lunches, as well as foods these picky eaters will actually consumer for dinner (they devour all of TJ’s frozen stuff). The store is a pre-party destination, too what with the many easy appetizers, flowers, inexpensive wine, etc. (Not that crazy about the produce. Every store has an Achilles’ heel.) 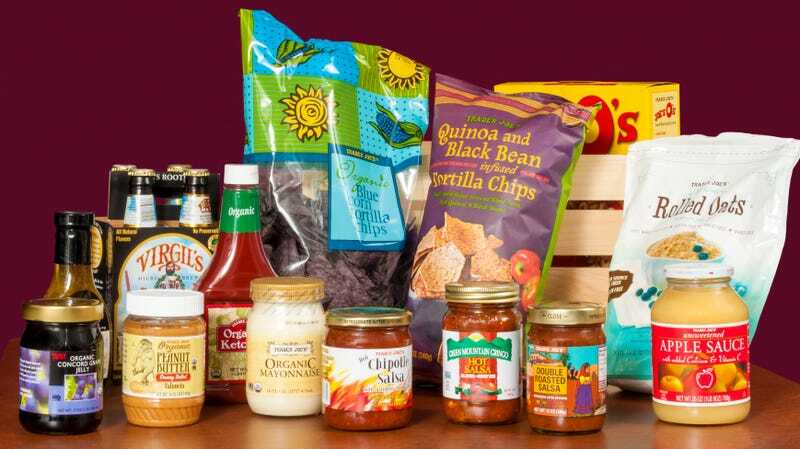 So it’s not too surprising that Trader Joe’s new list of favorite products, its 10th Annual Customer Choice Awards Winners, is filled with many repeat champions. Case in point: This year’s overall champion is the same as last year’s: Trader Joe’s unparalleled Mandarin Orange Chicken. It won not only Favorite Frozen Entree but Favorite Overall. Some other winners also look familiar: Dark Chocolate Peanut Butter Cups for Favorite Candy, and Hold The Cone! Mini Vanilla Ice Cream Cones for Favorite Frozen Dessert, Candy Cane Joe-Joe’s for Favorite Seasonal, Black Bean & Jack Cheese Burrito for Favorite Meal On The Go, and Tea Tree Tingle Shampoo for Favorite Home, Bath, and Beauty. Up-and-comers include Everything But The Bagel seasoning kicking out Original Ketchup out as Favorite Condiment, Sparkling Mineral Waters usurping Spiced Cider as Favorite Beverage, and Teeny Tiny Avocados conquering Bananas for Favorite Produce. We have but one question: Why didn’t TJ’s Comté cheese make the cut? So if you’re a new Trader Joe’s shopper (welcome, friend), take a tip from the top of the lists and try Everything But The Bagel seasoning. We at The Takeout highly recommend it.